I met George Meek in 1991 at an International Forum on New Science (IFNS) conference in Fort Collins, Colorado… coincidentally a few short miles from the small town where I’d grown up some four decades earlier. I was still a recovering agnostic in 1991, interested mostly in science and world affairs, and, except for my 4-year stint in the Navy, had never ventured outside the United States… but all that was about to change. I was mystified and deeply moved by Meek’s presentation about his afterlife research, and met him briefly that weekend during a gathering of several presenters. A few weeks later I went to visit him in North Carolina, we decided to collaborate, and I soon became totally immersed in afterlife research, especially ITC, or instrumental transcommunication, the use of technology to get in direct touch with the worlds of spirit. George introduced me to some of the most gifted ITC researchers in the world at the time, including Maggy Fischbach of Luxembourg. While I was growing up in Windsor through the 1950s and 60s, George Meek was revolutionizing the climate-control industry, earning a small fortune from a series of patented technologies that enabled the air conditioning of skyscrapers. After Meek retired in the 1970s, he and his wife Jeannette embarked on a life of world travel and research into the true nature of man. Their journeys led them to men and women from many walks of life who had an amazing range of shamanic skills… from energy healing and psychic surgery to mediumship and ITC. George himself developed a knack for spirit photography during his later years… which is not so unusual. People who get involved in shamanic research and spend a lot of time in the presence of gifted individuals sometimes inherit some of those gifts. That seems to have been the case with George… and to a lesser extent, perhaps, with me. 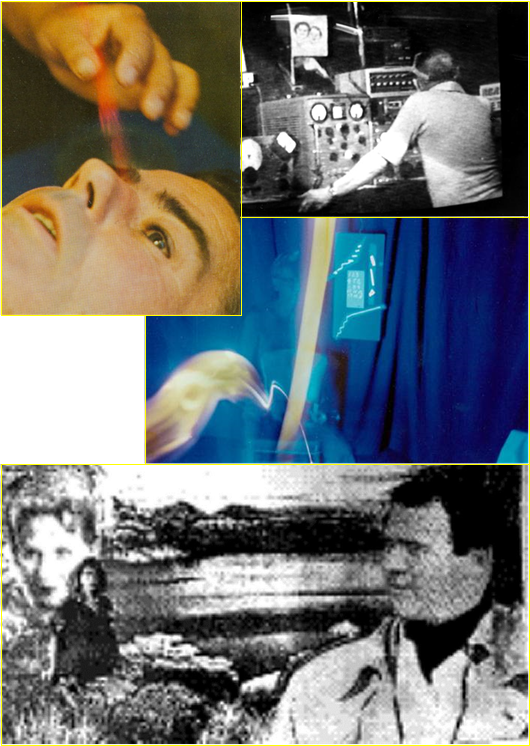 Clockwise, from top left: (1) George Meek captures on film a blast of energy from the hands of Filipino healer Josephine Sison; (2) psychically gifted Bill O’Neil is funded by George Meek to develop the Spiricom device, which provides the first-ever extended dialog with spirits through electronic equipment on a fairly reliable basis; (3) George Meek captures an OBE on film while meditating in his lab; and (4) Jeannette Meek, a few years after her death in 1990, sends her husband George a picture (through a computer in Luxembourg) of herself, their daughter Nancy Carol (who died in infancy), and Hollywood producer Hal Roach, the three of whom happen to reside in the same paradise community on the 4th spiritual level. In 1973 Meek led a team of nine scientists from various countries (along with 50 of their patients and clients) to the Philippines to closely observe the work of a dozen or so well-known spiritual healers and shamans. Among the more notable of the native healers was Josephine Sison, who’d spent nearly her entire life in the same remote village amid rice paddies. She worked in a small healing chapel attached to her family home. She would sometimes treat a dozen patients every hour. One by one they would lie down on her healing table for a session lasting several minutes. As her hands moved across the client’s body, small holes would open up at her touch to release impurities, and blood would ooze out. She would wipe it off with cotton and rinse her hands in a basin after each treatment. In some sessions she would insert a piece of clean, white cotton into a patient’s body through one of the psychically opened orifices, and remove it a week or so later, along with some bodily fluids. Most amazingly, for clients with head ailments Josephine would sometimes soak a cotton wad in blessed coconut oil and stuff it into an ear canal until it could no longer be seen. Then she would remove it a few minutes later, dark and toxic, from the other ear! These things, of course, are impossible (almost laughable) from a medical view, but not from a shamanic view, in which fluids and objects can materialize and dematerialize routinely, moving back and forth between the physical and spiritual dimensions in the course of healing work. As shown in the collage at the top of this article, George Meek in 1973 captured on film a red-orange blast of healing energy focused by Josephine’s fingers, as she worked on a patient who had come from the outback of Australia to accompany George’s team of scientists. All of these things are made possible by the close collaboration of talented spirits. Once we acknowledge that snug interplay between humans on Earth and humans in spirit, it becomes easier to accept phenomenal experiences occurring in our world… maybe even religious miracles like weeping statues, stigmata, and virgin pregnancy. Also in the early 1970s George Meek met Bill O’Neil, a psychically gifted man whose days were filled with unusual phenomena, facilitated largely by a group of spirits who followed him around, moving in and out of his life. On one occasion O’Neil set up two oscillators, one on each side of the aquarium that sat on the workbench in his Philadelphia farm house. As he tuned the oscillators to change the beat frequency, he noticed vague, swirling activity begin to evolve in the water of the aquarium. When he removed the fish and restarted the oscillators, the swirling resumed and began to change colors and shapes. Soon he was stunned to see a tiny hand, part of an arm, and a head with long hair take shape in the swirling water of the aquarium. A while later, O’Neil tried to replicate the results with the aquarium, but at some point while tuning the oscillators he began to shake so violently that he could barely turn off the devices. That’s when he abandoned those experiments. George Meek told me later that he’d been amazed by Bill O’Neil’s innate gifts, and he saw tremendous possibilities. George had been fascinated since his childhood with spirituality and afterlife, and it was at this time, later in life, in the 1970s, that he became determined to open up two-way communications between Earth and the worlds of spirit… developing a sort of modern-day version of the Ark of the Covenant… and he decided that Bill O’Neil was just the man to bring the idea to fruition. Meek provided the funding and the yearning to achieve advanced spirit communication… and O’Neil provided the shamanic means to get it done. Among O’Neil’s spirit contingent was “Doc Nick,” who said he’d been a ham radio operator and medical doctor before his death. Doc Nick used his ham radio knowledge to guide Bill in building a set of frequency oscillators and tone generators that would create an energy field and a set of sounds that Doc Nick and other spirits could manipulate into recognizable voices. The result was the Spiricom device, which provided more than 20 hours of reasonably clear dialog between O’Neil and his spirit friends over a period of several years. It was a milestone that paved the way for the more miraculous ITC contacts of the late 1980s and 1990s, which we’ll explore in the next few installments of this series. More about Josephine Sison here… and here… and here… and here…. 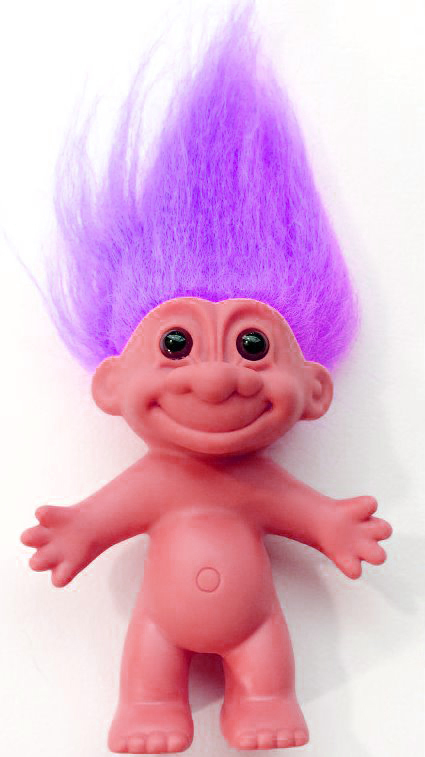 More about Bill O’Neil and Spiricom here… and here…. This entry was posted in Uncategorized and tagged bill o'neil, George Meek, Josephine Sison, shaman, Spiricom. Bookmark the permalink. I enjoyed this writing greatly. It spoke to a strong passion of mine about healing using Divine Healing Intelligence, which I call the DHI. No doctor can outsmart this Intelligence. The video of George Meek’s talk with slides is a classic and wonderful presentation. The quality of the film is overcome by the fine effort of this elder holding forth with some pearls from his valuable life journey. The writing about psychic surgery is good for all to ponder. It is good to release out of rigid paradigms which do not have room for that which cannot be explained, clarified, comprehended, or fathomed. I have a book entitled “Psi-Healing” written by Alfred Stelter which I picked up back in Boulder in 1997. It has a 1976 copy-write date. The pages of my copy have yellowed nicely. The author describes several meetings with George Meek and also details encounters with him and Josephine Sison. Thank you Mark. I thoroughly enjoyed this writing and getting to know more about Gearge Meek and his life. John, thanks for mentioning Alfred Stetler, whom I’d not heard of. I did some searching online and found a book by Dan Benor, Personal Spirituality, which includes several pages about Stetler, and I was able to read the excerpt. He spent a lot of time in the Philippines, working with the best of them. Just amazing, those Filipino healers!